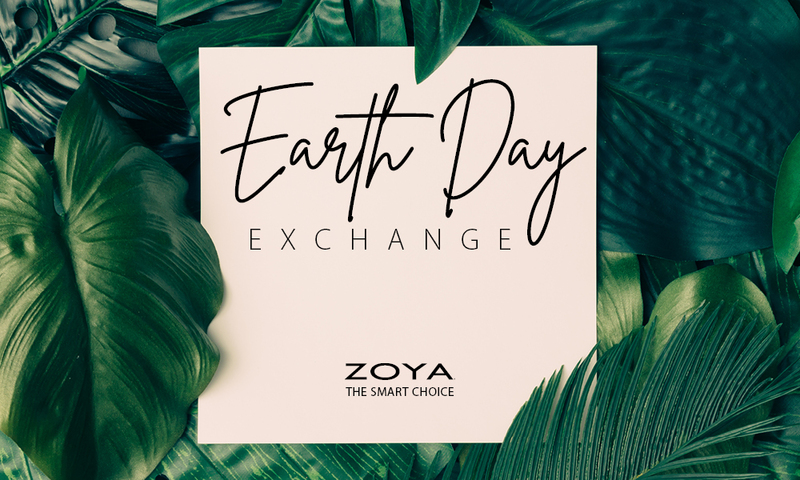 Offer valid online at www.zoya.com only 4/2/19 - 4/30/19 (ends 4/29 for Salons). Continental US & Canada ONLY. International shipping fee applies. Not valid with any other codes, coupons or promotions. Consumer accounts must purchase a minimum of 6 polish colors. Salon accounts must exchange a minimum of 24 polish colors and purchase a minimum of 48 polish colors. Polish can be from any brand and can be exchanged for open stock (individual) .5oz Zoya Nail Polish shades only. Offer includes the Z-Wide Brush for .50Â¢ each when code is applied. Excludes sampler packs, gift sets, Mini Sizes, Zoya Treatments and Naked Manicure Treatment Products. Offer is not contingent on customer returning polish. Return of Polish is mandatory for Salons. One code per account. Art of Beauty is not responsible for incorrect addresses, credit card entry errors or any errors outside of our control. All Nail Polish Exchange orders for NEW Zoya Nail Polish will ship FREE via Standard Ground Shipping - shipping costs on the exchange of unwanted polish back to us is the customer’s responsibility. Please allow up to 6 weeks for shipping and processing. Art of Beauty, Inc. reserves the right to remove any polish that is out of stock from your order, and you will not be charged for these items.